A disabled Nelson man was subjected to an unprovoked attack and left with broken ribs when he went out for a drink in his local pub, a court was told. 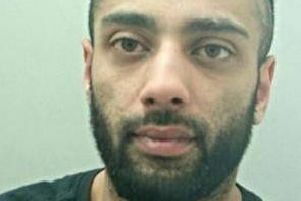 Pennine magistrates heard how John Noble was pushed with force from behind by paranoid schizophrenic Sean Marsden for absolutely no reason at the Station, Nelson, where he is a regular. Mr Noble, who has difficulty walking and uses a stick, fell into a large table, hurting his ribs. He was in a lot of pain and was struggling to breathe. The court was told how Mr Noble didn’t know what had happened, but a witness had seen Marsden, an alcoholic who had been drinking all day, give the victim a “really hard shove.” CCTV of the incident also showed the defendant was not provoked in any way by Mr Noble. Marsden, also a regular at the pub, told police he has been drinking since 9am and couldn’t remember what he had done. When he was shown the CCTV footage, he said he was disgusted with himself. Marsden (31), of Loynd Street, Great Harwood, admitted assault by beating. He was sentenced to an 18 month community order with supervision, a specified activity requirement dealing with alcohol use and a six week curfew. He was ordered to pay £300 compensation.